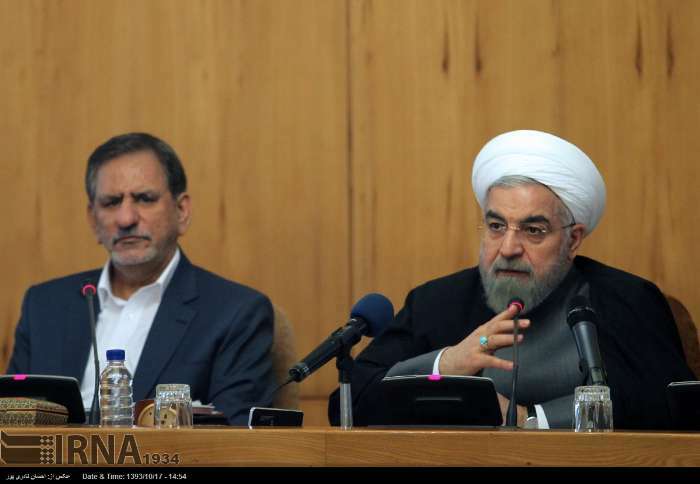 MNA – “Reconstruction of flood-hit areas will be commenced as of today,” President Hassan Rouhani announced on cabinet meeting on Wednesday. “Under the leadership of the interior minister, the government started renovation of flood-affected regions, today,” the President said. “As estimated various sectors have incurred 400 trillion rials (about $2.9 billion) of loss by the present day and the figure is probable to increase after making related estimations of the damage in Khouzestan,” he said. As previously reported, Leader of the Islamic Revolution Ayatollah Seyyed Ali Khamenei has agreed to the president’s request to get help from the NDFI in the renovation of the flood-stricken areas, if it is absolutely necessary. Rouhani has stressed his government’s commitment to providing swift compensation for flood-affected people across the country. He is reportedly planned to pay a visit to provinces of Khouzestan and Lorestan, soon.